We offer a wide assortment of Rotary Dryer that are classified as direct or indirect (air heating method), current or counter current (material air contact). They have features like Minimum air leakage and the Dryer is driven through a girth gear and tyre arrangement. In direct heat Rotary Dryers a continuous feed of wet paniculate material is dried by contact with heated air, while being transported along the interior of a rotating cylinder, with the rotating shell acting as the conveying device and stirrer. Capacity Range: 3 Tons to 10 Tons Per Hour. Service: To dry clay, sand. Blast furnace slag and any other granular free flow material. 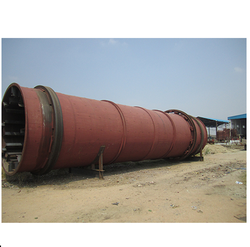 Material Handled : Clay, Sand, Marble dust, Blast furnace slag, or any other granular or free flow material. We offer a wide assortment of Rotary Dryers that are classified as direct or indirect (air heating method), current or counter current (material air contact). While using the dryers the material should be dried and uniformly dispersed over the entire cross-section. These dyers can also be customized based on the properties of the material. 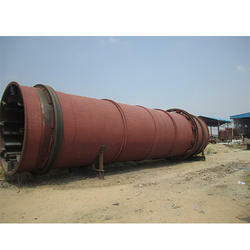 STAR TRACE manufactures Rotary Dryers. We have manufactured high-quality kilns, made of varied materials. All kilns are excellent heat exchangers where heat is transferred in a variety of ways. We produce kilns which are made with precision and detailed accuracy. They are highly durable and made with attention to each and every detail as provided by the client.